This cemetery was just re-constructed. 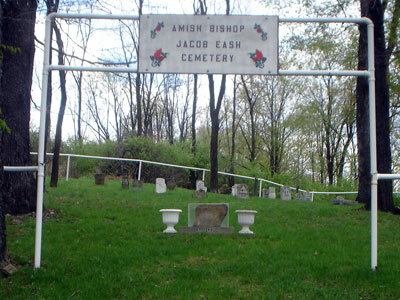 As you walk into the cemetery, they have the original stone of Jacob Eash incased in glass. Someone took the flat stones and remolded them in new cement to make new monuments. It is well worth the visit. This cemetery is located behind Thomas Auto Body Shop on Eisenhower.